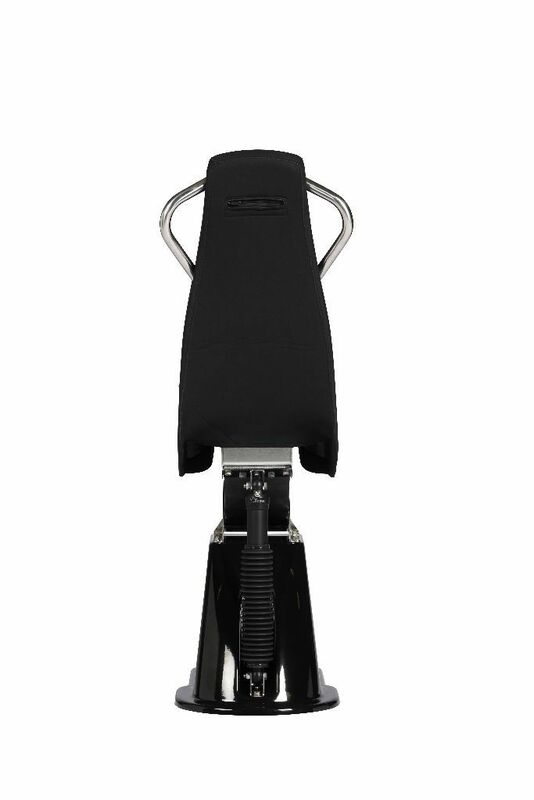 The Most Comfortable Suspension Jockey Seat. The Ullman Patrol seat is optimized for full comfort and safety during tactical operations in rough conditions over long periods of time. 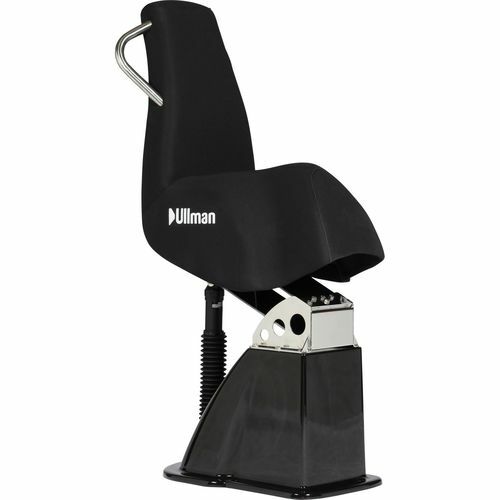 The Ullman Patrol seat features a large seating area with thick padding that allows sitting in various anatomically correct seating positions with fully maintained shock mitigation functionality. 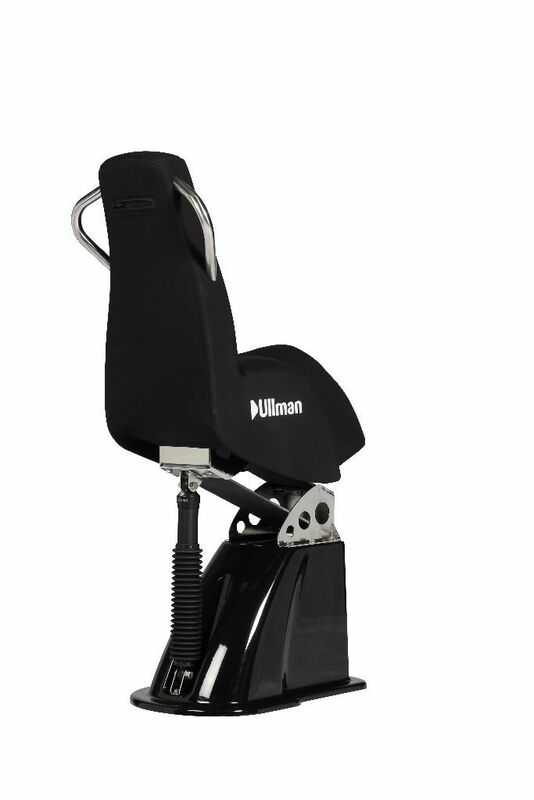 All Ullman Jockey Seats are designed to protect the operator from injury. The seat design optimizes body posture while the spring unit and dampening system of the Ullman Semi Active Progressive Shock Mitigation System mitigates the potentially harmful forces that occur during high speed boat transits. The Ullman Semi Active Progressive Shock Mitigation Systems, provides unsurpassed shock mitigation, allowing the human muscular reflex system to synergize with the mechanical suspension, resulting in mitigation of 70% of the force. 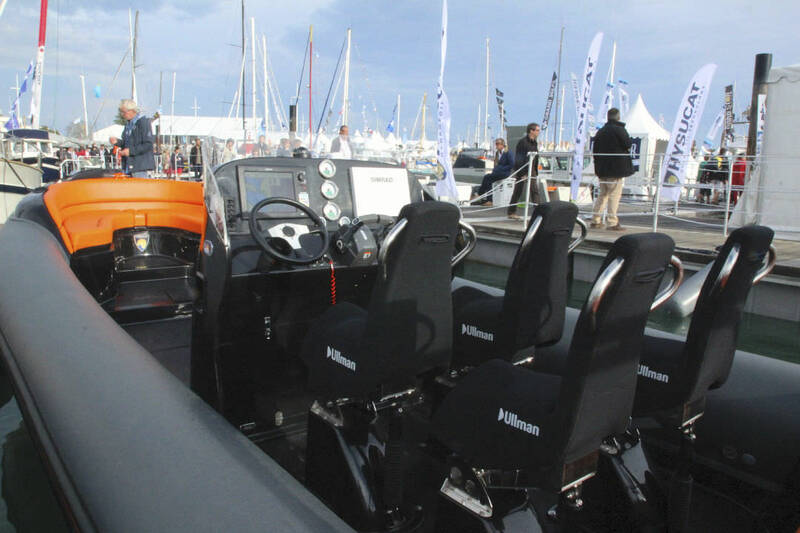 The entire Ullman marine seating range is made from all non-corrosive materials, all fully compliant to the toughest military specifications. The water resistant upholstery is designed for use on open boats in extreme conditions. Each seat is delivered with UV-protected Weather Protection Covers. The Ullman Jockey Seat Patrol is available on the Ullman GRP bases in three different heights. Optional accessories includes Adjustable Damper, Footrests, Armrests, Lateral supports, Front Seat Handles, Black PUR-Insulated Handles, Air Tech Lap Belt and Waterproof Hatches for stowage inside the base.